Dell's mission is to be the most successful computer company in the world at delivering the best customer experience in markets we serve. In doing so, Dell will meet customer expectations of: highest quality; leading technology; competitive pricing; individual and company accountability; best-in-class service and support; flexible customization capability; superior corporate citizenship; financial stability. Dell's mission is to be the most successful computer company in the world at delivering the best customer experience in markets we serve. 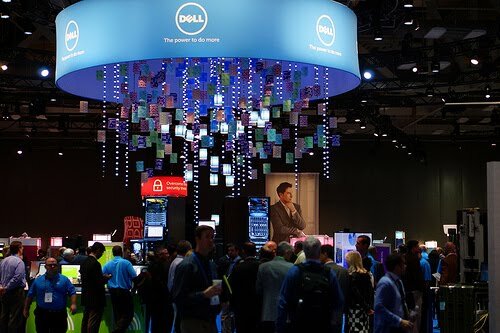 In doing so, Dell will meet customer expectations of: highest quality; leading technology; competitive pricing; individual and company accountability; best-in-class service and support; flexible customization capability; superior corporate citizenship; financial stability. Performs installation, customization and maintenance of the operating system and system software products in support of business processing requirements. Evaluates and integrates new operating system versions, drivers and hardware. Provides technical expertise for system transitions, migrations and consolidations. Provides in-depth diagnosis for operating systems software/hardware failures and develops solutions. Ensures server data integrity by evaluating, implementing and managing appropriate software and hardware solutions. Prescribes system backup / disaster recovery procedures and directs recovery operations in the event of destruction of all or part of the operating system or other system components. Basic knowledge of System Administration and Operating Systems. Basic knowledge of Systems Hardware. Basic knowledge of Enterprise Level Systems infrastructure. Basic knowledge of Datacenter Operations. Basic knowledge of network technologies. Design and/or implementation of enterprise-wide virtualized systems using Citrix and/or VMware technologies. Experience installing, configuring, upgrading and migrating Microsoft Windows 2012 R2 servers. Experience providing Tier 2 support in an enterprise level, globally distributed environment. Maintains program products and performs requested changes to the operating system & subsystems, which support the customer's business. Performs a variety of maintenance tasks associated with the support, modification, and updating of the system software to include system software installations, upgrades, tests, troubleshooting and fixes. May perform other support activities to help assure the consistent performance of the operating and program products. Provides diagnosis for operating systems software & program product failures. Provides system maintenance & requested changes utilizing enabling tools. Provides advice, training, and 24x7 technical support to customers, users and programmers. Basic knowledge of the principles, practices and capabilities of software and operation systems features. Performs incident management and change management execution. Applies knowledge and understanding of customer needs and other internal/external contacts.